Tone 8 is a Holy Day of the trecena. 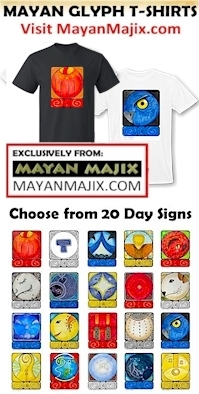 The Maya related the 12 Tones of Creation to the hours the Sun was in the sky from 5AM to 5PM. The 13th Tone represented the Communion of a Divine Light Above that Intervenes to make the Miracle of Creation possible. The Sun resided at the zenith from 12PM to 1PM (making 13), the 8th and 9th hours of Sunlight. There’s a Sign of Lightning’s Energy in the sky. Storm/CAUAC, the Lightning energy between the Above and the Below, is exalted in its zenith position. CAUAC is the Day Sign of Renewal and Regeneration. CAUAC rejuvenated us in the last trecena of “Light” that inspired us to make this journey to gain the Wisdom of the Experience of Believing in this Lightning Force Above. Tone 8 is the first day in our phase of transformation that will be completed with the Tone 12 of Understanding. On Tone 13 we will ascend, changed by new Truth and the Freedom of this Gift of Lightning within. Tone 8 is the day the Maya reserve for their most Holy celebrations and festivals. Some festivals are also held on Tone 9, acknowledging it as the Hour that seals the Wisdom of Transformation. Both today and tomorrow are Signs of Major Transformation made possible by the Power and Light from Above. 8 Storm/CAUAC a Power of Lightning as Truth begins the Transformation for Human Hearts. As the Day Sign of the West, it raises our Emotions to transform us by the Power of a Miracle. 9 Sun/AHAU, the Supreme Creator that holds an Intention to Complete in the 9th Hour will bring a Revelation to the Truth of who we are. Our eyes will be opened to see the progress we actually made in Spirit. We’ll see that through the experience, we will Manifest new Wisdom to Create a Life of Happiness. It won’t matter how far we’ve come, Faith will be Transformed into Belief in the Truth of Forward Movement. 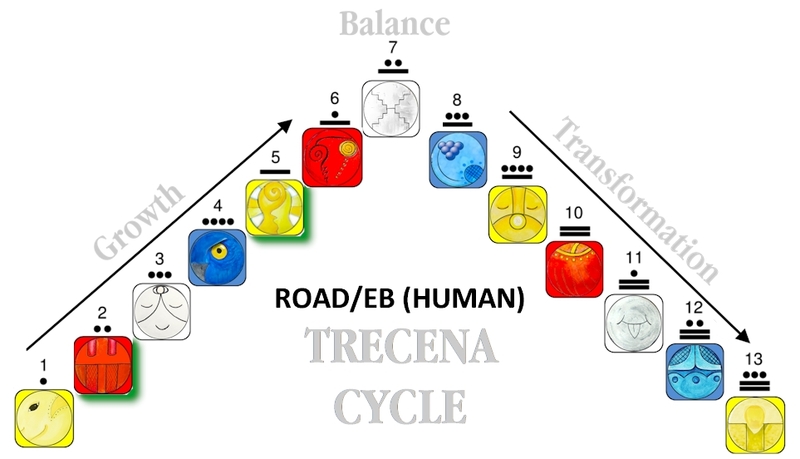 On these two Transforming Tones 8 and 9 of this trecena the Signs point to a transformation Powered by Unbridled Energy, and the Revelation of our Wisdom to Channel toward a Divine Direction. We will see ourselves doing more than just spinning in circles. We’ll Know how to perpetually rise like the double-helix of Smoke that carries our Prayers of Hope and Faith in an ever-upward spiral that transforms it into Belief. 9 Sun/AHAU will complete the 5th Uinal of Empowerment through a Revelation of Power along with the Will to carry it out. Storm/CAUAC’s Power is Divine Power that Brings the Comfort of Home. In such a display of unbridled power, we are naturally turned to Home. Home is the place within where our Power is Stored, and where we hold the full Authority of our Power. Our Lower Self can find its Peace here, Knowing there is no Greater Power to cause it harm. CAUAC’s vibration of Home holds the Power for a Divine Healing, as the Lower Self is willing to let go of its fear. CAUAC is said to have a great capacity to both teach and learn. Our difficult tests and storms of emotion are no less worthy than our experience of Joy. Our challenges can enrich our lives. Motivating us to turn to Spirit, our Senses are raised to an Almighty Presence. 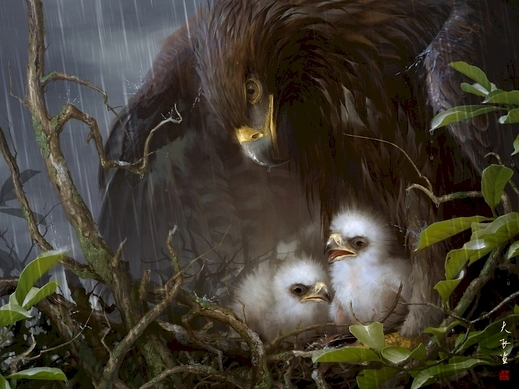 CAUAC brings the Blessing of Rain and Lightning that nourishes Mother Earth. Storm is associated with the cycles of the moon, related to the feminine aspects of creation. The Divine Feminine holds the energy of Compassion, Service, and Divine Discernment. We are given new capacity to Love Ourselves, Others, and all our Experiences of Living, exactly as they are. No matter what danger we face, the Creator has already made a Way. Though Storm may change the landscape of our lives, the strongest parts of us will thrive as we draw upon Divine Intervention. This is an offering of Divine Justice that is Intended for every Human. CAUAC encourages Belief in the Power of our Choice to live by our Divine Nature. Together in the place called Home, the Higher and Lower Self can be Reunited in Right Relationship. Today our Faith can be transformed into Believing again in our own Dream of Happiness. To all my relations, on this Holy Day of Transformation, may we Humble our Self to receive the Divine Justice that was promised by our Choice to follow the Direction of Spirit. May we see that it was never a race and that our success wasn’t measured by the distance, but by the Divinity of the Intention. May we give thanks that our lives were designed to be a dynamic experience that would lead somewhere, that the never-ending circles carried us upward in a direction of Divine Consciousness. May we experience the Inner Peace of knowing there is No Greater Love than the Creator’s Love for us, and no reason to fear, knowing there is No Greater Power. May we give thanks for Lightning of Spirit that connects Heaven and Earth, and Unites Body and Soul. I’m grateful for the Gift of Renewal and Regeneration and for Transformations that can change Faith into Believing. Visit the 13-Day Trecena Guide for daily aspects and insight on the Uinal and Portal Days of the Road/EB trecena. Storm/Cauac: Day of the blessing of rain, giver of all life and lightening, a gift of nitrogen to Mother Earth and ozone to Father Sky. Cauac is also associated with the moon and the cycles of the moon, which are the meter of the feminine aspect of creation. The essence of Storm is the feeling of unity, security and warmth experienced in the home while the tempest of trouble rages in the world outside. Perpetually youthful, Storms exist to experience the ecstasy of freedom. They have the great capacity to both learn and teach. Their constant quest for novel experiences often leads to difficult tests and storms of emotion. Looking at these difficulties for the lessons they indeed are, will enrich our lives rather than destroy. Cauac individuals teach much through their electricity of being. Lightning energizes earth, this same energy energizes humans. Divine connections can be accessed. Cherokee, Redbird/TOTSU’HWA: Redbird’s symbol is Alcyone of the Pleiades Star in constellation Taurus. Alcyone is the Central Sun of the Universe, heart of heaven. Lightning is the visible evidence of the presence of Redbird Spirit in the Sky, daughter of the Sun Spirit, sign of Fire, Sun’s alter ego on Earth. Redbird is a feminine sign; the hand that rocks the cradle. The symbol of nurturing, the lightning nurtures and energizes, with energy for zest, curiosity, imagination, and ideas. Lightning adds spiritual force to the human by way of “lightning of the blood” of a healer, directly body to body vibration. The key to spiritual communication and access to the wisdom of the Ancestors lies in the ability to bestir the blood to speak. Sacred stones such as flint, obsidian, crystal are created by lightning striking the ground. It’s strange sometimes, being on this side of the screen from you. Sometimes I swear it’s like you’re talking specifically to me you are so accurate. I have to remind myself you don’t even know me and these beautiful words are meant for everyone and that makes me even happier! So, I know I’ve said it before but thank you. You bring me such comfort when I am confused. You keep me pointed in the right direction and it means so much to me. Staying on a path of faith in the mist of the turmoil we are experiencing today is not an easy task. Bless the ancestors for creating and leaving this body of knowledge and bless you for sharing it with us. You speak to our humanity and help us to mature into the compassionate beings needed for these times. Great description of Tone 8 and Storm, Debra – I learned something new regarding the Maya relating the 12 Tones of Creation to the hours the Sun was in the sky and the meaning of the 13th Tone. All-in-all very inspirational writing – thank you.